Home of award-winning Boston Globe reporting. Joan Salge Blake, MS, RD, LDN, is a clinical associate professor and registered dietitian at Boston University in the Nutrition Program. She writes on healthy eating, one bite at a time. Sunday, May 11, is not only Mother�s Day but also the kick off of National Women�s Health Week. The week is designed to empower women to take care of their health, which includes eating healthy and being physically active. With this theme in mind, I polled many moms and asked them what fun and healthy gifts would they want on Mother�s Day. Based on the polling results, these health-conscious moms want cookbooks loaded with fast and easy meals that contain tons of veggies, kitchen gadgets, healthy feel-good foods, and convenient ways to get more physical activity into their lives. I then polled a group of moms and colleagues who are also Registered Dietitians and Nutritionists (RDN) and asked them what specific healthy gifts they wanted this year. Ironically, they want the same things, and they provided me with their healthy wants. Cheryl Forberg, the Chef and Nutritionist for NBC's The Biggest Loser, can�t live without Chefspecs. 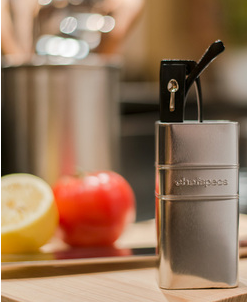 These reading glasses are especially designed for use when you are cooking in the kitchen. What is unique about these specs is that they not only come with a handy magnetic case that resides on the refrigerator door so you never lose them, but they also have a defogger so you can look into a boiling pot of water without steaming the lens. (I cook a lot of linguine so I am putting this one on my list.) Most importantly, when you get these glasses dirty, you can put them in the dishwasher with your other culinary utensils. 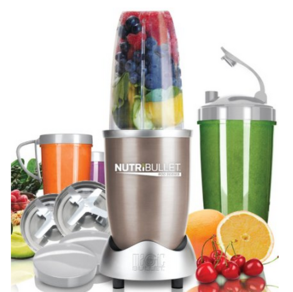 Joy Bauer, the nutrition and health expert for NBC�s TODAY Show wants a rowing machine. She just finished binge-watching House of Cards, and when Frances (the character played by Kevin Spacey) started working out on his rower, she plunked it right on to her "Mother�s Day Gift Wish List.� Although she admits that it is a bit extravagant, so her chances of getting it are pretty darn slim, I hope that she gets it. Working out while watching entertaining media is the perfect feel-good combo for busy moms. While author, Elizabeth M. Ward has of tons family-friendly recipes in her book, How to Feed Yourself & Your Family Better, she is in a �recipe rut.� (Aren�t we all?) 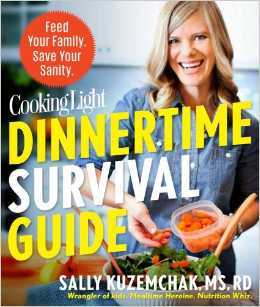 So she is longing for the new Cooking Light Dinnertime Survival Guide, by Sally Kuzemchak, RDN. The cookbook contains recipes that are quick, easy, and jam-packed with veggies that your entire family will enjoy. Keri Gans, the author of The Small Change Diet, wants to make a small, but time-saving change in her kitchen. So she's asking for a slow cooker. Why? With her busy schedule, �the idea of throwing everything into one pot in the morning and letting it cook dinner without me even having to watch it seems like a dream come true.� Personally, I hope she gets it along with a healthy slow cooker cookbook. 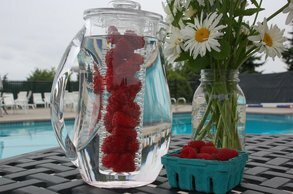 Tammy Lakatos Shames and Lyssie Lakatos, co-authors of The Nutrition Twins' Veggie Cure, both are asking for a fruit infusion pitcher. They enjoy drinking water during the day, but they want to be able to reach into their office refrigerator for a glass of thirst quenching water that's infused with their favorite fruits and refreshing vegetables. It helps make their office feel more like a spa. Lastly, I would like to end Mother�s Day (and every day, for that matter) with a cup of chocolate tea. You can buy chocolate tea both loose and in bags. I will take it any way that I can get it.